For a variety of occasions, these petite chalkboards serve the perfect purpose. Whether you need to label different bottles of wine, different plates of food, or different chores, these chalkboards are the signs for you. Made out of a sleek black metal and given an erasable chalkboard finish, these write-on signs are usable time and time again. Each sign features a unique metalwork design, giving each its own signature flair. 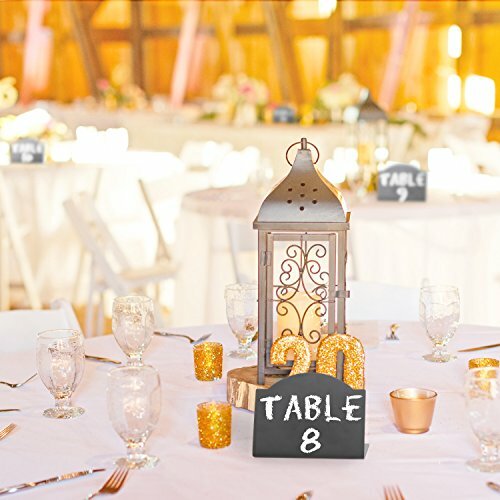 Add organization and modern style to any event or collection of items with this erasable chalkboard set. 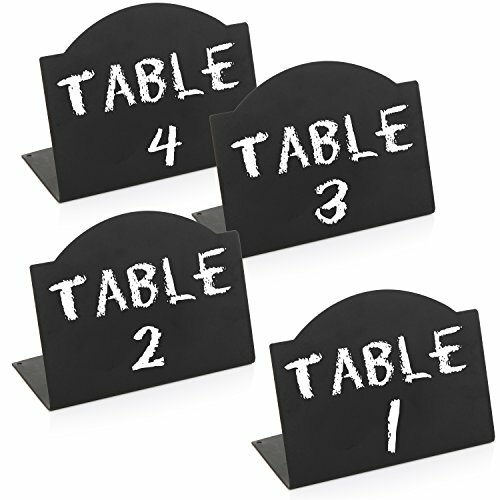 Approximate Dimensions (each sign, in inches): 5.25 W X 3.75 H X 2.5 D.
A set of 4 miniature erasable chalkboards in a black finish. 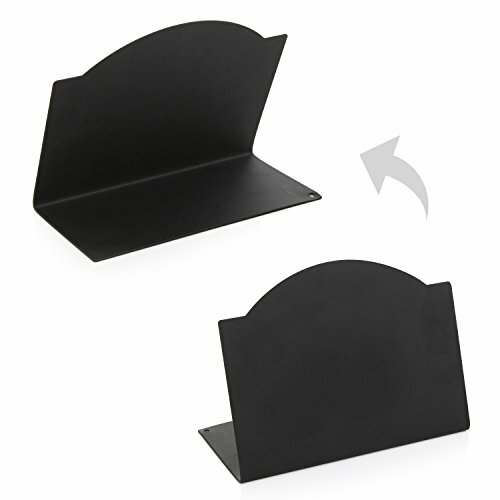 Features 4 metal chalkboards with stand-alone frames. 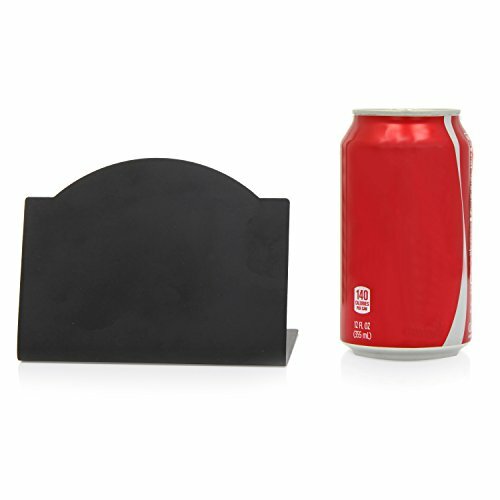 Perfect for labeling items at weddings and events or offices and businesses.